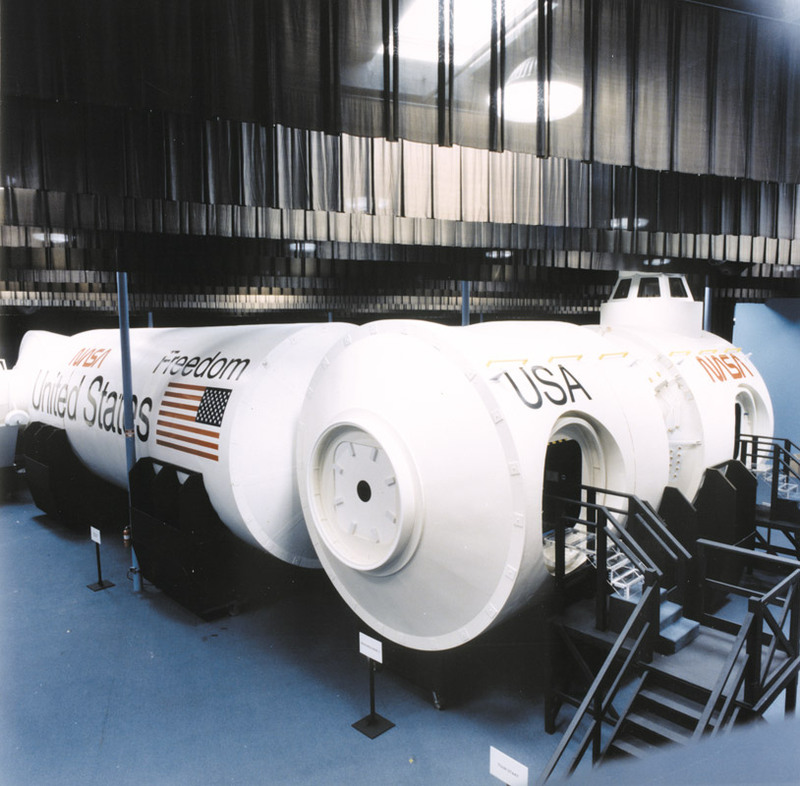 In the late1980’s the United States committed to launching a manned Space Station. 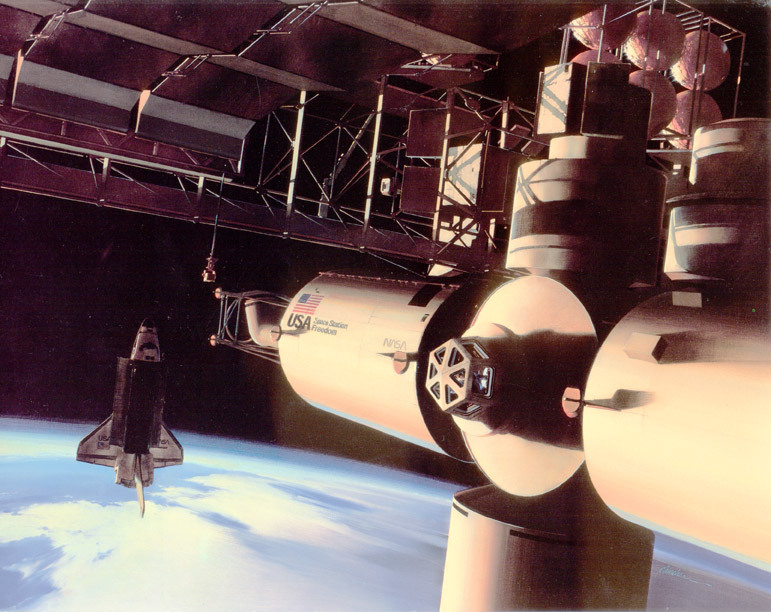 Modules to build the Station had to fit within the Shuttle cargo bay and the Station was assembled in low Earth orbit. 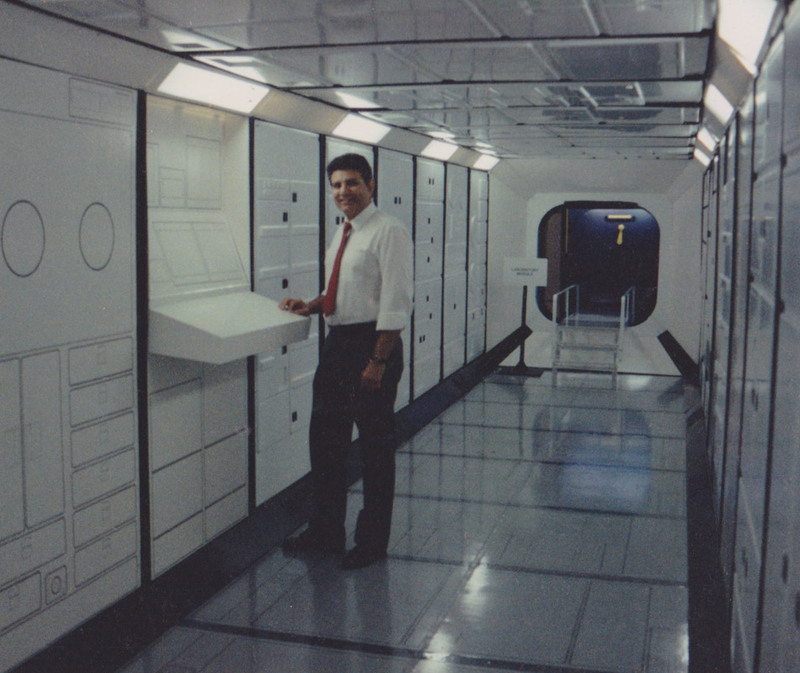 The interior consists of modular equipment racks that can be easily replaced. 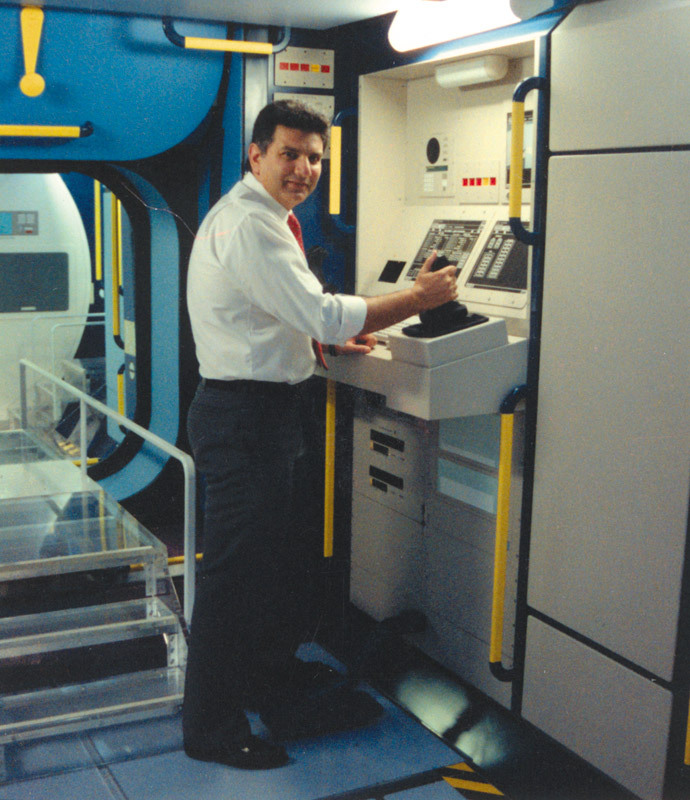 We also worked on the design of many products and components for sustaining life in zero-gravity and built the first full size prototype mock-up that was used as a training simulator for NASA astronauts. The Space Station is a “work in progress” and we welcome the opportunity to participate in this prestigious project that will help mankind explore the “Final Frontier”. The Shuttle cargo bay is approximately 15ft. in diameter and 45ft. long. All components to build the Space Station had to fit within this volume. 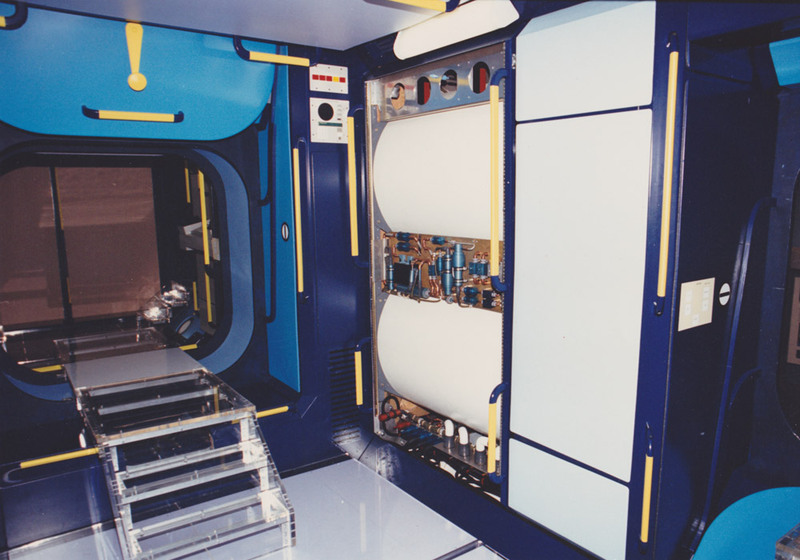 The Station was built in orbit with modules built in many countries. Major contributors to this international effort included, Russia, Canada, France, Italy, England and Japan. The challenge was to design a system compatible with many different types of fixtures and components. 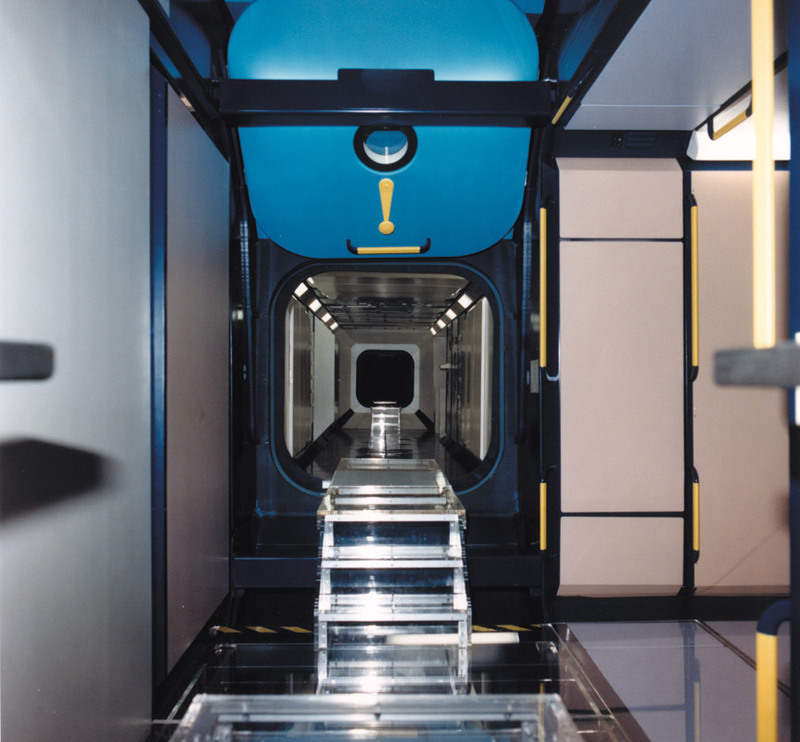 We worked on the Habitation module for six astronauts in low earth orbit for extended periods of stay. Human factors were of primary importance in the design of these systems. 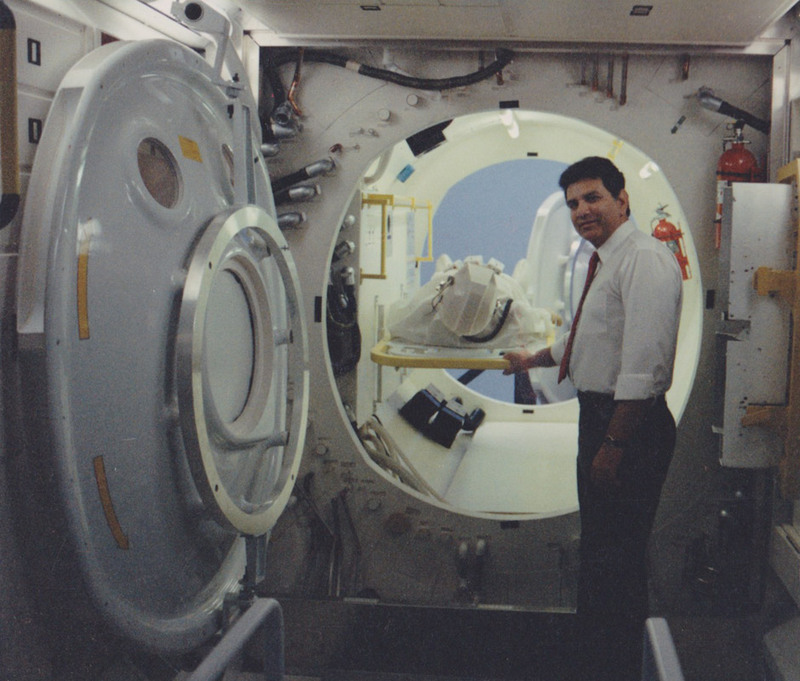 Human physiology played a dominant role in understanding the limits and requirements of the human body operating in zero gravity. Space is an extreme hazardous environment for the human species and we developed unique systems to maintain and support life on board the Space Station which has been in orbit for well over a decade. Onboard systems are constantly being upgraded as new advances in technology “push the envelope”, providing invaluable data on the limits of the human body, preparing us to explore the solar system and beyond.